University of Toronto researchers say they have conducted the most comprehensive monitoring of airborne mercury ever in the GTA, finding that although mercury concentrations continue to be low, emission levels officially reported to the government are often inaccurate. The project, conducted by a team of researchers in U of T Scarborough’s department of physical and environmental sciences, deployed nearly 200 air samplers across the GTA with the help of dozens of faculty, staff and students. Researchers said they believe it was the largest monitoring project on airborne mercury in the world. “In terms of acute exposure levels, there’s nothing we should be concerned about whatsoever,” said Carl Mitchell, an associate professor who is one of the authors of the study. Professor Frank Wania and David McLagan, who received his PhD from U of T this year, were also involved in the project. In comparing their results to data gathered over the past decade, the team found that airborne mercury concentrations in the GTA appear to have gone down. Mitchell said this is at least partly attributable to Ontario moving away from coal-fired electricity generation in recent years. The researchers also put the samplers across the GTA near known mercury emission sources identified by Canada’s National Pollutant Release Inventory (NPRI), the public inventory of pollutant releases from waste disposal and recycling facilities. The concentrations they measured did not match well with emissions that are being officially reported to the NPRI. For example, a hazardous waste facility operated by Aevitas in Ayr, just outside of Cambridge, ranks low on the NPRI list but was found to have concentrations 10 times higher than the average found at other sites – but still well below chronic exposure levels. Meanwhile, waste water treatment plants that rank high on the NPRI list were found to have much lower concentrations, suggesting emissions at these facilities are being overestimated. “It indicates these emissions are not very accurately accounted for, and this has implications for our commitment to the Minamata agreement,” Mitchell said, referring to the 2013 international treaty designed to reduce mercury emissions. The study also found that gaseous mercury levels were slightly higher in downtown Toronto than in other parts of the GTA, likely due to the concentration of medical facilities downtown. 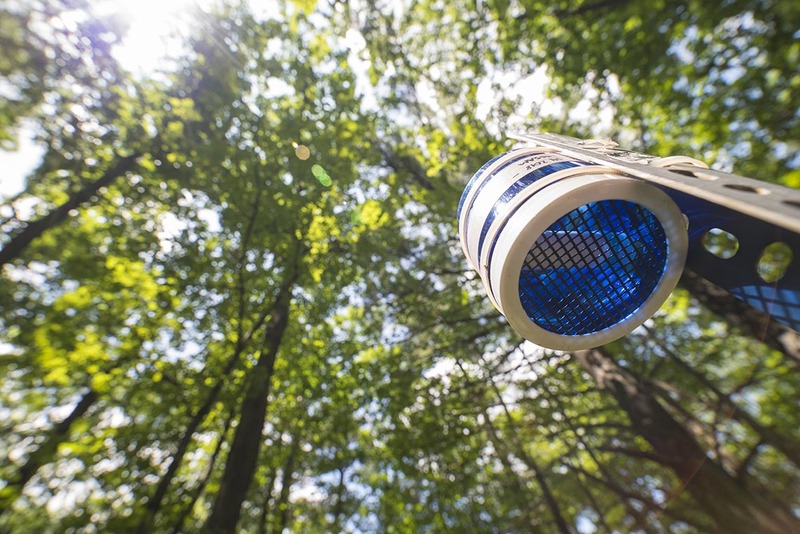 The extensive monitoring project was made possible through an inexpensive air sampler that was developed at U of T Scarborough. The passive sampler does not rely on electricity and instead works by using the natural movements of air and a carbon material to capture airborne mercury, meaning they were able to deploy many. Despite low mercury levels, the passive air sampler is so precise that it’s able to determine extremely small differences in concentrations, said Mitchell. As a result, they were able to see tiny increases in concentration levels near waste facilities, crematoria and medical and dental buildings that handle or dispose mercury in various forms. “These types of mapping exercises can be used to find so-called fugitive emission sources that are really difficult to find and measure otherwise,” he said. Mitchell said monitoring mercury is important because it’s a highly toxic pollutant. Mercury released by human activity can be transported in the air across great distances and can eventually be transformed in the environment to methylmercury, the most alarming form from a human health perspective. In humans, it can cause damage to the neurological, immune, cardiovascular and respiratory systems, among others. Fetuses and children are particularly vulnerable because it can hinder the neurological development of the brain. But, Mitchell added, it’s also important to accurately measure whether mercury reduction targets, like those set in the Minamata agreement, are being met. The research, which is published in the journal Environmental Research Letters, received funding from the Natural Sciences and Engineering Research Council of Canada (NSERC) and an NSERC Alexander Graham Bell Canada Graduate Scholarship.